On top of spaghetti all covered with sauce…. Spaghetti is is one of the few meals that I can be assured that everyone will *like* and eat. Sometimes they might even eat second helpings especially when I add in some delicious meatballs. Tonight I made spaghetti with Muffin Tin Meatballs. They were originally going to be “mini” meatballs but didn’t end up that way. And I throw a little twist into my meatballs that you will have to try. I am over at Parent Palace today. 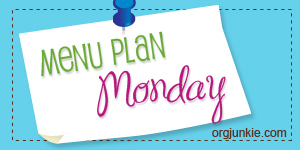 Menu Plan Monday, what would I do without you? This week is simple since we had a birthday celebration dinner last night and then husbands brother is getting married this next weekend so we have two nights of no cooking on Friday and Saturday. Whoo-hoo for no cooking. Can I get an AMEN! As always, I am linking up with I'm An Organizing Junkie! What is cookin up in your kitchen? *I will be posting this AHH Mazing and simple recipe for the meatballs soon. I have joined forces again with some fellow awesome bloggers to bring you all some faaabulous giveaways in February. I mean who doesn't need a little extra cash! The Cash Cow PayPal Giveaway runs from Feb 6-Feb 20. 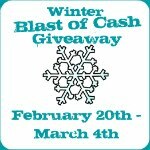 And then the ﻿Winter Blast of Cash Giveaway runs from Feb 20-Mar 4. Make sure to stop back by to enter when they go live. That new button on the right hand side of my blog. I am officially the newest addition to Parent Palace. A great place for tons of parent resources. Recipes, reviews, funny stories, you name it, it is probably there. Please feel free to stop on by any time. The door is always open. 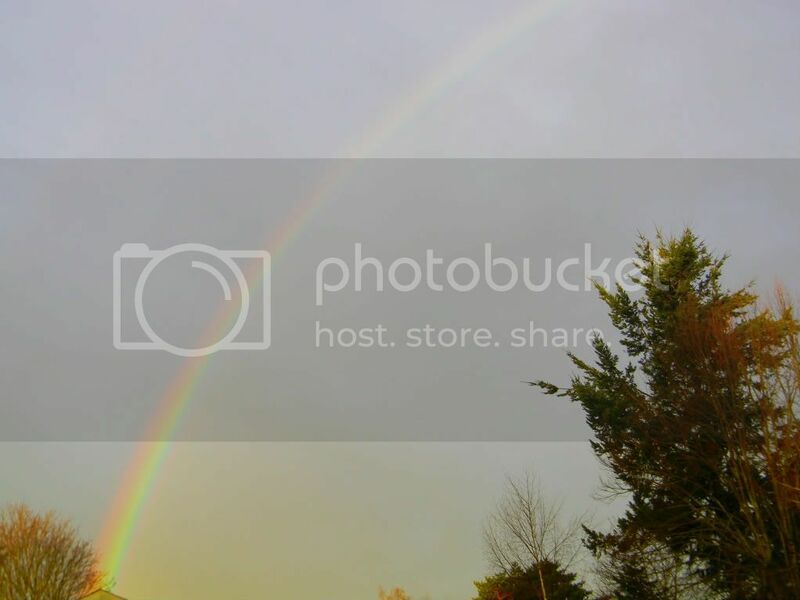 I took this picture from our back yard. Finally, Saturday. It has been a looooong week. I am going to link up with the FABULOUS Cate over at Showmyface for Six Word Saturday. What is that you ask? It is a linky party where we describe something going on in life right now in 6 words. It can be serious, funny, cute, whatever it is up to you. And you can give more details after, share a picture, whatevah...you want. What happens when littles get camera. I found these on my camera when I loaded them onto the computer the other day. Kinda funny. Thought I would share. Have an AWESOME weekend. See you Monday! And guess what! 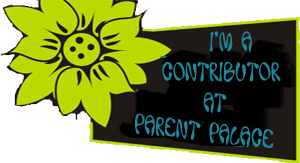 I am now officially a contributor over at Parent Palace. You will have to stop by and check it out some time. OMG...We are up to #16. This is bad. 1. Yes, this is a picture of my kitchen. I went on strike. It doesn't always look like this, just most some of the time. 2. I am such a dork. Tuesday night when I went to get gas I couldn't figure out how to open my gas tank. For some reason it was locked, it is never locked! I actually had to call the dealership to figure it out. I won't tell you what it was. LOL. And then because of this I was late to Tyler's last basketball game. Big mom fail! (But I at least took some pictures. Here is T shooting a free throw). 4. At work, I have been purging paper files. I had things from some of my clients as far back to 2006! Holy cow! Such a pack rat. Now if only I could get motivated to do the same at home! My files at home are equally out of control. 5. Last week my Monday night Crock Pot meal didn't turn out so hot. Well it was hot all right. Burned! Not sure where I went wrong. Not enough liquid? Cooked too long? Dinner was this instead so not all was lost. Pretty good for a quick meal. What is weighing you down this week that you would like to share? We're all friends here. Don't be shy! I had a completely different post written for today and then I got to thinking about my trip to Ethiopia that is coming up soon. Yes, it has been a bit consuming lately. Planning for it. Thinking about it. Soon packing for it. How it will impact me personally? How it will impact our family while I am away? When I return? How it will impact me spiritually? How will it impact those I am going over to help and love? I don't know the answers but if there is one thing I am certain of is it WILL. I have talked to others who have gone over there and seen things that should't be seen and they are forever changed. They are forever changed but in a positive way. I am hoping. I am praying. 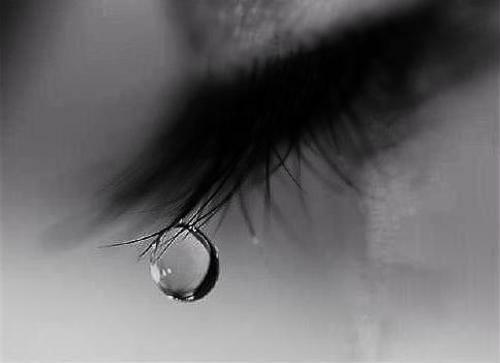 I don't want to say another empty prayer and be someone who just doesn't seem to care. I refuse. We went to Josh Wilsons concert a few months ago when he was on tour with Steven Curtis Chapman The Song & Stories Tour. It was AHHH Mazing! Steven Curtis Chapman, Andrew Peterson and Josh Wilson were often at times on stage at the same time, sharing the spotlight, sharing the stories behind the songs they were singing. One of the best concerts I have been to, truly. Let me just preface this post by saying it isn't going to be the happy go lucky fun posts that I tend to post and I might ruffle some feathers. And although I am not one to judge nor do I like to judge there are certain things that I do have very strong opinions about and therefore might be considered as judging. This subject happens to be one of those things. My husband and I have been having somewhat of a debate going since the firing of Joe Paterno and many on his team at Penn State. Since he passed just recently it has come to the forefront again in our house. We debated at length about it on Sunday before church. Joe Paterno, although he is the most winning coach at Penn State unfortunately that is not the legacy he is going to leave. Now if you remember he was part of the huge scandal that rocked the school this past year regarding one of his *former* staff members Jerry Sandusky. Jerry Sandusky is awaiting trial on 52 criminal counts for what prosecutors say was sexual abuse of 10 children over 15 years! Jerry Sandusky allegedly sexually abused several boys while part of the Penn State staff, in the Penn State locker rooms as well as many boys who were part of The Second Mile, the charity he founded. Although many people were involved in this in some form or another, I look at Joe Paterno quite differently now. He is no longer the great coach of Penn State. He is no longer the long upstanding citizen he once was. He might still be a legend but for the wrong reasons. He knew of these acts. And it is said that he reported them but yet he continued to allow Sandusky around boys even after the initial allegations. He thought those that he told were more qualified to handle it and that they would. He admits that he should have done more. Really! You think? The boys involved who are now grown men, will live with this forever. Will be scared forever. This will follow them into all aspects of their lives. Relationships with their friends, family, wife, children. It will never go away. It will always be there in the back of their mind. Sure, they might suppress it as much as possible but it will rear its ugly head at the most inopportune times. While you, the most winning coach, go about your day like nothing, for years. But not anymore. There is something to be said about those you associate with. I say, Joe Paterno, you associated with the wrong person for to long and therefore although you did not commit the crime that Jerry Sandusky did, you are guilty by association for standing by and not following through. You could have changed the outcome. You could have stopped Sandusky from hurting more boys. But you didn't because you thought you didn't have the expertise in this area. Expertise? To tell someone what you were told? To follow up? Whatever! It's a shame that these coaches that so many children look up to have such low morals. It is a shame that so many people just turn a blind eye to these heinous acts against children. You must ACT if you see or know of abuse of ANY kind. It is not an OPTION not to. Crock Pot meals are super simple. Just throw everything in the pot, turn it on and go about your day. MOST of the times the meals turn out wonderfully delish with the exception of my ﻿Italian Pot Roast Steak from last week. LOL. Don't ask. 1. Place into Crock Pot in order: Chicken, Pinto Beans, Green Chiles, Diced Tomatoes, Packet of Chicken Gravy (dry). I am linking this recipe to Tasty Tuesday at 33 Shades of Green and Show Me What You Got at Not Just a Housewife. 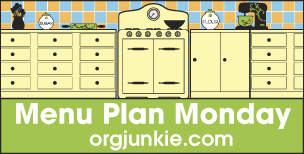 I am linking up with I'm An Organizing Junkie to share my meal plan with all the other fabulous blogger! Ohh and if you are wondering, my whole week of crock pot cooking from last week, wasn't all that successful. I cooked from the MPM but didn't end up cooking everything in the Crock Pot as I intended. What are you feeding your family this week? I am linking up with 6WS at Cate's place...Show My Face. It's a party, come on over. Describe what is going on in your life in 6 words. We sponsored a child, Millicent Mwihaki! She is from Kenya. She is 9 years old and her and I share the same birthday, May 12th so I took that as a *sign* that she was the ONE. I can't wait to get to know this wonderful little girl and help her become the woman that she is suppose to be. I hope us sponsoring her makes a huge impact in her life. I looked up the meaning of her name and it means, Strong. I am excited to share that with her along with some pictures of her new faraway family. I will have to show you a picture of her once I can scan the one I have. We have wanted to sponsor some children from Compassion International for awhile now and now we have. I am so excited! My good friend, Jill who blogs over at Compassion Family is a HUGE advocate for Compassion International. Her and her family are so inspiring. Her husband is in Nicaragua today actually to meet one of the girls they have sponsored for 9 years! That would be so awesome. I can't wait to hear about his trip. And they sponsor 19 kids! AHHH-MAZING, they are. Love that girl! Interested in learning more about Compassion and all that they do for the sufferering and impoverished? Please don't hesitate. Check out their site. It has all the information you need to get started down the road of sponsorship. And if you go to Jill's blog she has compiled a fairly large list of other Compassion sponsors who blog about their Compassion children so you can get a taste of how rewarding it is to be a sponsor. Anything fun on the agenda for today? It is just me and my Crystal Light. With each passing day it gets easier and easier. It actually has not been very hard at all once I got over the first few days of having a headache. I am also finding that I am eating out less for lunch so not to be tempted. And since no coffee in the am, not tempted to buy the Starbucks Breakfast Sandwiches. This is really helping the checkbook. My husband has decided to join the no soda club (although he will have an occasional cup of Joe). He had a headache too for the first couple days but I think he is over that now. Of course since I am not buying soda for home, Tyler, our 13 year old, is not drinking it either. All these great residual effects of me not drinking caffeine. It hit me this morning. I have known for the last two months that time was approaching quickly but I think with making the final payment yesterday, it is real. No turning back. Not that I would but....it is really happening. I am going to Ethiopia in just over a month. I will be gone for 13 days. 10 days in Ethiopia and 2 in Amsterdam plus flight time. I broke down driving into work this morning. Crying. Crying out of happiness for what lies ahead. Crying out of sadness for I will miss my family tremendously. I know I will be back but I have never been away from my husband or kids for this long. I know it is for a good reason. I know they see that. I know they are happy for me for this opportunity. But it still doesn't make it hurt any less. I will miss giving my husband a kiss goodnight when he comes home and I am half asleep or goodbye in the early mornings when he is still half asleep. I am going to miss a couple weeks of date nights. Just him and I, a good meal and a movie or just hanging out. I am going to miss the smell of his cologne that still lingers in his tshirts that I often times will wear to bed. I will miss the snuggling and soft kisses on my neck at night. I am going to miss the routine of putting my baby girl down to bed. We always touch her flowers that hang from her ceiling and then when I lay her down in her crib we always stroke the soft bumper and I rub her blankie on her face a few times. Talk to her for a few minutes, tell her I love her and tuck her and her baby in under her blankie. She is such a good sleeper. I walk out of her room, shut the door halfway behind me and typically never hear a peep out of her til the morning. I will miss her bringing me a book each evening to read to her. "Booook" she says and she toddles to me with it and climbs up into my lap. And of course I will miss her wet kisses and tight hugs. And her pitter pat around the house saying "Mom, Mom, Mom, Mom." (or "Hun" which is her new favorite word). I am going to miss my little bundle of energy Hayden, always getting into mischief. His little antics of getting into everything. I mean EVERYTHING. What am I going to do with myself. I am not going to have to follow him around for almost two weeks. Hehehe. I am going to miss his snuggling and him twirling my hair when he is winding down for the evening when it is just he and I hanging out watching American Idol. (Did you watch it last night?). I am going to miss his doe eyes and long eye lashes that he bats at just the right time (when he knows he is in trouble). I am going to miss my heart melting when he says, "Mom, I love you so so much". I am going to miss my teenager, Tyler. His dancing around the house and being goofy. I think I might even miss a few of his basketball games. (We don't have a schedule yet so not certain). I am going to miss having to nag him to do his chores or homework (I am sure he will not miss that). I am going to miss his tenderness he has with the little ones. He is always loving and hugging on them. He is such a great big brother. I am going to miss our one and one talks that we don't do enough anymore. Instead he would rather hide out in his room and listen to music or text his friends. And last but not least, although our oldest is no longer at home, I will miss her just popping in to hang out for a little bit (usually around dinner time). I will miss her bringing her new black lab puppy, Bailey, over to visit even though the last time I dog sat, Bailey decided to chew one of Kaylyn's shoes and pee on my carpet (she was excited apparently). I will miss the phone calls for advice or just to vent about something. Like a TON of bricks. It hit me. You may have seen on the news (or not) that the Pac NW was hit with a *major* storm the last few days. It dumped several inches (yeah inches not feet like many back east and up north are used to) of the white stuff last night. You'll are probably laughing at us. School was delayed in our district while many others were cancelled! Seattle took the brunt of it because by the afternoon, if you hadn't lived through it (ha!ha! ), then you probably would not have known it had even snowed. That's how much of insignificant (really) amount of snow we had in our area. By the mid afternoon everything was melted and it was 50 degrees out. You would think by all the coverage we had on this *story* that it was snowing non stop for days on end and we were all stuck in our houses. (This did however happen back in 2007). I shouldn't talk though because it did allow me to go into work late because the streets were pretty snowpacked and slushy at the normal time I go into work (6am). We didn't even get to make a snowman or snow angels. Maybe next time. Why did the chicken wave to us? Why does the man wear a chicken? Why is that his job? Why do cars have pedals? Why do people walk there? Why did we have to stop? Why do those move like that? Why do I have to sit in this? Are you seeing a pattern here? It is official we have hit the "why" stage. Everything from Hayden these days is why this, why that. Questions, questions, questions. There have been many times of late where I have even caught myself telling him, "I don't have the answer. Mommy, doesn't know EVERYTHING". LOL. (just most things). Seriously this is just the tip of the iceberg. Some of the questions he comes up with. As exhausting as it may get at times. I know that this is his way of learning about the world around him and one day I know I will miss this. Do you remember when your littles hit this stage? What were some of the questions they always asked? Did they ever ask a question that you had no idea how to answer? On a sidenote, I think we have created a monster. She wants to take her baby EVERYWHERE we go and I mean EVERYWHERE. At first it was cute. We caught our selves saying, "Ah, how cute look at her hold her baby." " How sweet she wants her baby to sit next to her in the high chair." "Look at her loving her baby." But as the weeks have turned into months that she takes her EVERYWHERE and she will not leave her, will not go to sleep without her, will not do much without her. Not so cute anymore. LOL. We are even considering buying a few other identical dolls in case her current one ever gets lost, left somewhere, etc. That is how attached she has become. None of the other kids were ever really attached to any one particular object so this is all new to us. Did your children have a doll, blankie, stuffed animal. etc that they were attached to? Let this post be a reminder to live in the present for you are not guaranteed a tomorrow. This week my Crock Pot is going to get a lot of love. All of our meals this week will be made in the Crock Pot. I looooove Crock Pot meals. They are so easy and always turn out delish. In light of my not drinking caffiene anymore I bought this *AWESOME* Copco Mix 2 Go Waterbottle last week. It has a little tube in the middle that you can put your Crystal Light packets in. How cool is that? Now I will never be without my flavored water while on the go. (I have a difficult time drinking plain water so Crystal Light is my best friend these days). I am also trying to eat a bit better. Often times when I was drinking coffee I would get a Starbucks Ham Breakfast sandwhich. And although they are YUMMY they are not only expensive but have 16g fat and 350 calories. This morning I tried a Jimmy Dean Delights instead and I was pleasantly surprised. It was very good and had only 7g of fat and 220 calories. Mirrasou Moscato. Although, I don't drink much wine these days. When I did, this happened to be one of my favorites. I bought a bottle just recently to give as a birthday present to one of my friends.﻿ Sweet and *fizzy*. Perfect for a relaxing summer evening on the deck. (Too bad it is the dead of winter in this parts). If you read my One Word: Gratitude post on 12/30/11 you would know that this is MY word for the year. It is such a simple gesture to show Gratitude yet we often times forget to truly show it. One of the ways that I am showing more gratitude is I am going to sincerely thank someone EVERY.SINGLE.DAY. I have already started on this journey and it feels pretty good. It might sound to easy right but when I say sincerely I mean, put more than just "Thank you" behind it. Give a tangible reason why you are thankful for the person. 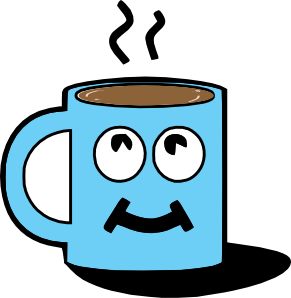 Thank your barista for getting up at 5am so she/he can come to work to make your coffee (if I still drank coffee). Thank your childs teacher for working at home grading papers late into the evening off the clock. Or volunteering their time for afternoon study hall. The person standing out in the freezing cold pumping your gas for you so you don't have to. (In Oregon, by law we can not pump our own gas). A co worker, who picked up some extra work to help you. Your wife or husband for helping support the family everday. Who can you show gratitude to today and how? I was driving home yesterday listening to an *oldies* station and this song came on. Kinda funny that it was on the *oldies* station considering it really isn't that old (1988). Remember this? It made me want to roll my windows down and sing at the top of my lungs (but I didn't roll the windows down because it is FREEZING in our parts of the country and not so sure others would want to hear me) however I did sing at the top of my lungs and it felt GOOD! I could smell the coconut sun tan lotion, the ocean breeze whipping through my hair and the sand between my toes. Man, I miss the warm beach! One day I will retire in Fiji. I love the movie that this song was in too. Cocktail with Tom Cruise and Elisabeth Shue (remember her?) I think I still have this movie on VHS. Ha! I used to be a HUGE fan of Mr Cruise, not so much anymore although he isn't up to his crazy antics anymore so he is growing on me a little bit more again. Did you see Mission Impossible: Ghost Protocol? Hubby and I went to see it a couple weeks ago and it was pretty good. Did you know he did a lot of his own stunts? Like when he is climbing the building in Dubai! Yep, that was really him. I know CRAZY! Confessions. They always make me feel so inferior much better when I get them off my chest. This past Thursday when I was on a conf call for my trip to Ethiopia, Hayden decided to make some hot cocoa in the microwave. It exploded all over and I have yet to clean it up. Last night I couldn't find any clean pajamas for Kaylyn so I put her in a pair of leggings and a tshirt. Laundry and me are on a break. A break from doing it. I just can't get caught up! It is like a vicious cycle. Only on Sunday did I clean out the other kitchens sink from when our garbage disposal was broken during the Christmas holiday. It was starting to grow things so I figured it was time. After having tons of the kids old clothes bagged up to donate for well over a month, I FINALLY dropped them off last night. Also while on the conf call this past Thursday, Kaylyn decided to take off ALL her clothes and run around naked. I just let her. It kept her entertained for a little bit. Thank goodness I didn't have a web cam like everyone else on the call. That would have been hilarious or not. Have any confessions you want to share? It can be anything. It will make you feel better, I promise. Tim Tebow, an awesome GODLY man who is not afraid to show his faith to the mass of football fans (even though he has been chastised and mocked quite a bit the last couple weeks) threw 316 yards yesterday to help send the Broncos onto a win in his first play off game. Steelers of course were favored to win but with Tim Tebow apparently anything is possible. He made a fan out of me and I don't even watch *much* NFL. We tend to watch more college games these days (Go Ducks!). I will be rooting for him and his team though that is for sure! It is that time again. Time for another round of Menu Plan Monday. I am linking up with I'm An Organizing Junkie. And you can too! Hey good lookin' whatcha got cookin? Time seems to be standing still. But when I get there it won't be long enough. In a blink it will be over. Much to accomplish yet so little time. Anxiously anticipating the trip of a lifetime. My trip to Ethiopia with GHNI. While I am there I will be blogging and sharing about the people of Garmaam, Hurso, and Magaladi. Good morning, Good Afternoon, Good Night....to cover all my bases. I am linking up with Cate at Showmyface.com and you can to! It is simple. Describe your life right now in 6 words and then link up. Baking with 4 year old...Messy! He loves to help me though. And we are baking Daddy's belated birthday cake. Daddy's birthday was yesterday but since he had to work we are celebrating it tonight. So first thing this morning Hayden and I got up and baked a cake for him. It is still in the oven as I type this and the house smells YUMMY! Another year gone past. Inching closer to the big 4-0! Here is a brain teaser for the year he was born, see if you can figure it out. BIC launches first disposable Razor and Microsoft becomes a registered trademark. How old is he? What is on your agenda for today? I started on a few more books that I am excited to share with you. 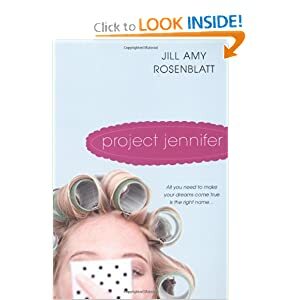 Appropriately titled given that my name is Jennifer. Quite honestly, that is really the only reason I even picked up the book but I am glad I did because it does sound like an interesting read. Do you think your name helps shape who you become in life? 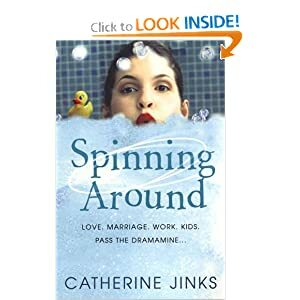 The "Love, Marriage, Work, Kids, Pass The Dramamine" drew me into this book. I actually laughed out loud when I read it. I can so relate and I am sure many of you can too at one point or another. I am sure this book is going to get some more chuckles out of me just by reading the back cover. It was a fluke that I picked this one up. I have already started reading this and I am about half way through. Without giving too much away one of the themes of this book is, "When one takes the focus off ourselves and helps those around us, for the RIGHT reasons, than everything else will fall into place." What entices you to pick up a certain book? The cover? 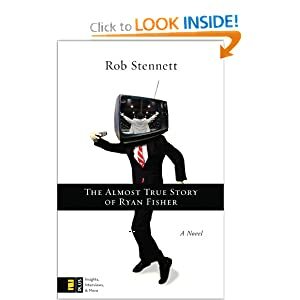 The reviews you have read? The cost? The title? Okay, everyone. It's that time! I know you have been waiting anxiously so now is your chance to win The Tablet Time NOOK Tablet OR $275.00 CASH via PayPal. Giveaway STARTS January 6, 2012, at 12:01 AM EST and ENDS January 20, 2012, at 11:59 PM EST. Dimensions: 8.5" x 5.75" x .75"
If you select the cash option you MUST have an active PayPal account. $275 will be remitted to the winner as a gift via PayPal. Enter via Rafflecopter. The more you follow, the more chances to win! It is easy! Day 5 into my 12 in 2012 goals (not resolutions). I have MADE it to day 5 with no caffeine. It has not been an easy feat, let me tell you but I think, day 5, I am over the worst of it. No more can barely keep my eyes open at 2pm. No more crazy grouchiness (maybe still a little but not sure that is due to lack of caffeine). Crystal Light and me have become pretty close. We are BFFs. I have been drinking 2qts of water/Crystal Light a day instead. I am in this for the long haul. The last time I tried to kick the caffeine addiction I was into day 2 and then Kaylyn was admitted into the NICU for emergency bronchoscopy when she got a sunflower seed shell lodged in her airway. Read the story here. Needless to say several caffeine filled nights later. It didn't work. I figure by cutting out the caffeine of coffee and soda alone it will help me meet another one of my 12 in 2012 goals which is to lose a little weight. You know soda and caffeine are just empty calories. Here is to day 5! Did you make any goals (or resolutions)? How is it working out so far? 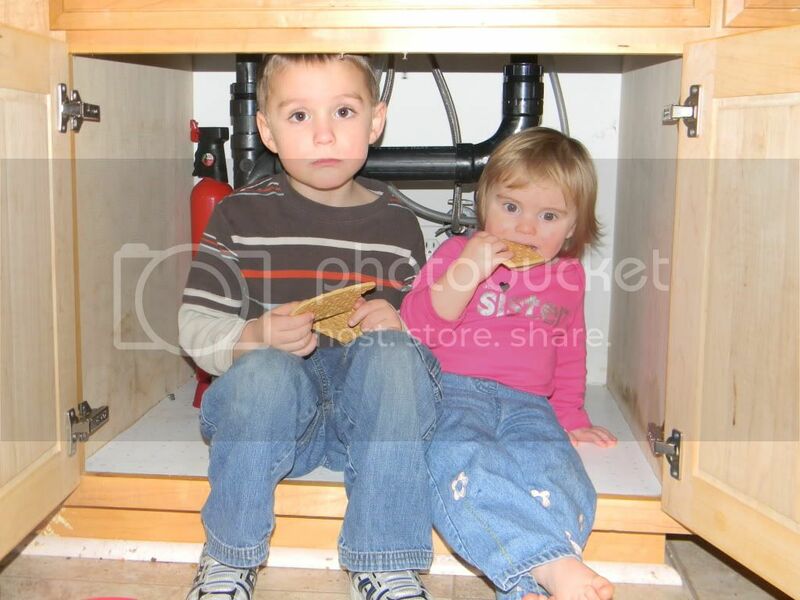 The two littles love playing in the cabinet in our other kitchen. They just open it up, climb in, hang out, eat a graham cracker or two. The cats ocassionaly get in there with them too but I couldn't get a picture of that. 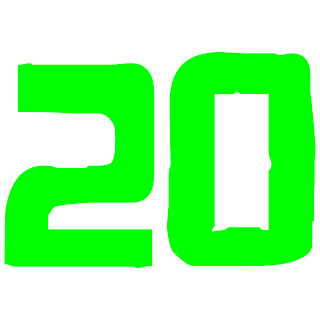 The first Monday of 2012! It is going to be a good year, I can tell! 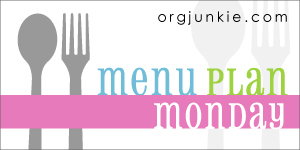 I am linking my menu with I'm An Organizing Junkie, cuz that's how I roll. What is cooking in your kitchen this week? I hope you had a fantabulous and safe New Years! 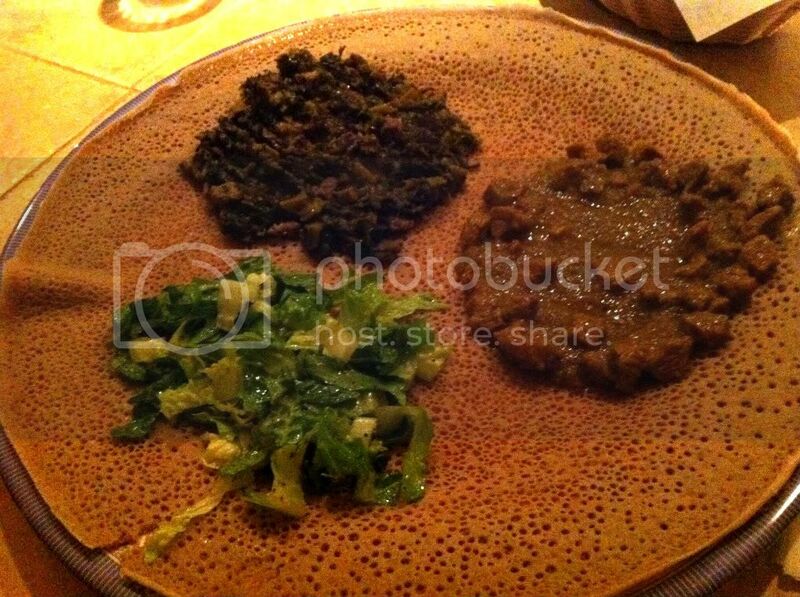 For our New Years Eve dinner we went to this small yet FABULOUS authentic Ethiopian Restaurant called Beta-Lukas. The food left nothing to be desired. It was all around goodness from the appetizer to the dessert. And the owner who was our host, was a hoot. Very friendly and helpful when we asked several questions about the cuisine. Our appetizer, Veggie Sambusa. That little dish of sauce, spicy, spicy! Our dinner, Ye-Beg Alicha Wot (lamb), Gomen Besiga (beef) and Salad (with warm injera bread which is what you use to scoop the food up with). 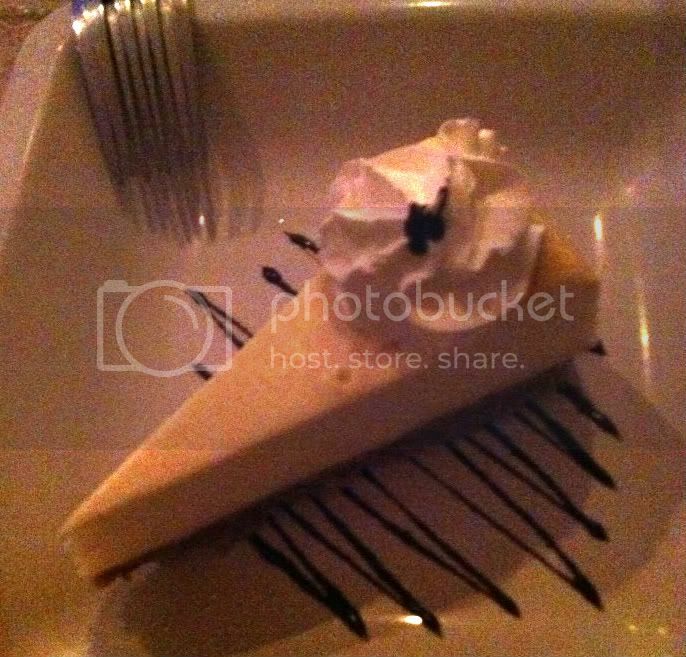 And our dessert, NY Style Cheesecake. The only thing we ate with a fork. We will be going back here more often but next time we will make a reservation and take Tyler, who is utterly excited about being able to eat with his hands. After dinner we went to our regular stomping grounds, McMenamins Edgefield and listened to some music in the winery. drop to a romantic evening.